Beech, natural or black lacquer finish. 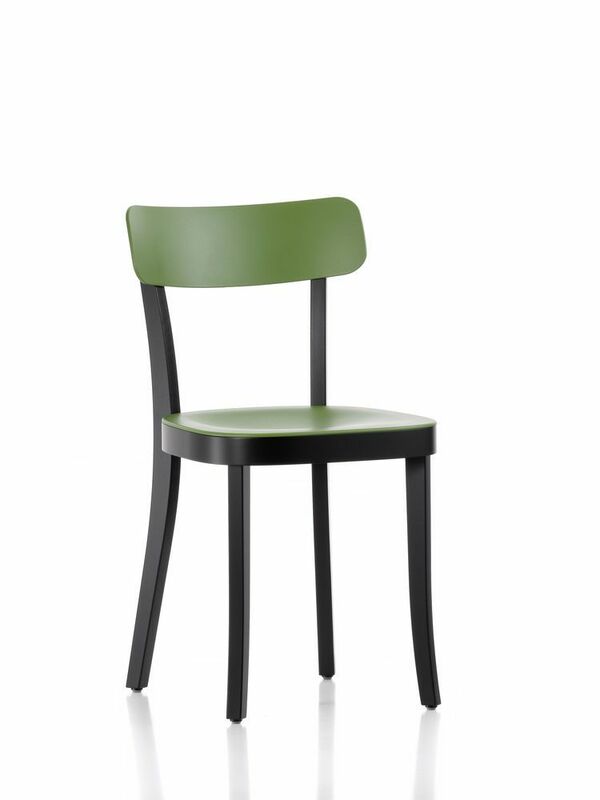 The eye is immediately struck by the harmonious proportions, yet on closer inspection the chair also reveals a decisive innovation: the seat and back are made of plastic, allowing for a more pronounced organic shape, enhanced surface texture and an overall thinner - and thus more flexible - design compared to all-wood chairs. Thanks to this combination of materials, the Basel Chair provides significantly improved seating comfort over chairs made only of wood and, in its two-tone variants, is especially pleasing to the eye. Fitted with plastic glides for carpet; felt glides for hard floors optionally available.